that the cognitive function of speech is to enable us to talk not only to others but to ourselves (in short, to be our own interlocutor), and that the view that mind is brain--embraced by both the scientific community and the popular press--is not an empirical finding but a rhetorical ruse concealing humanity's unceasing struggle to control persons by controlling the vocabulary. The discourse of brain-mind, unlike the discourse of man as moral agent, protects people from the dilemmas intrinsic to holding themselves responsible for their own actions and holding others responsible for theirs. 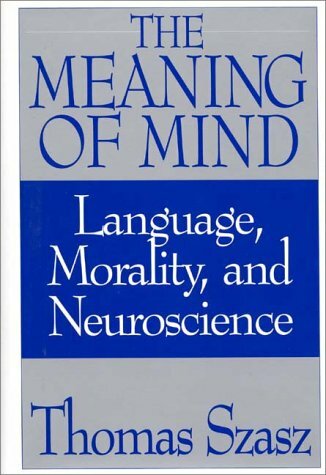 Because we live in an age blessed by the fruits of materialist science, reductionist explanations of the relationship between brain and mind are more popular today than ever, making this book an indispensible addition to the seemingly recondite debate about, simply, who we are.